The Minister of Youth Affairs, Hon. 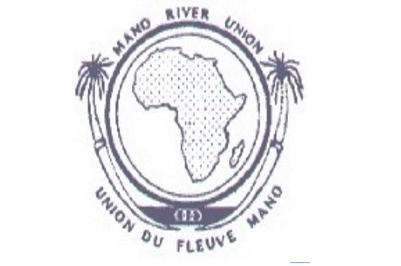 Alimamy Kamara on Friday urged youth delegates at the official opening of the first youth conference of Mano River Union (MRU) to develop a culture of peace. While he was giving the keynote address at Kona Lodge in Freetown, on the theme “Youth Empowerment toward Sustainable Sub regional Peace and Security, the minister said there was the need for young people to congregate and discuss peace and security in the MRU. He said that young people have a stake in society and therefore should be at the forefront of enhancing social, economic and political development, noting that societal situation has provided difficult conditions for the youths. Talking about the challenges youths are facing, he said the use of drugs and harmful substances, teenage pregnancy, migration and early marriage, among others, are all issues affecting the young. He encouraged them to be honest to each other and to wake up and transform their communities to meet international standards. He emphasized that if they want their country to move forward they should consolidate security issues, practicalize agriculture, trade and peace, among others. In her official statement on behalf of the MRU, the Deputy Secretary General of the union, Linda Koroma said the development of the young people is challenging as most of them have little or no technical and productive skills to address not only their livelihood but also their contribution to national and sub-regional development. She said the purpose of the meeting therefore was to create a platform where the youths can identify the challenges they are facing and how to address them. Members of the delegation suggested among others that children be trained to be less dependent so that they can make something meaningful out of their lives; provide jobs that will enable youths get rid of poverty; and that the MRU should develop communication plan for youths. The delegates include youth representatives from Sierra Leone, Guinea, Liberia and Cote d’ Voire.